Over the past few months I have been a learner. I decided that I needed to upskill myself in Hapara. Hapara is an instructional management system that wraps around google. Hapara means new dawn. Kind of like this image of our new school with the sun rising. Basically the designers took the top 10 accelerated effect size from Hattie’s research and created a system for learning that utilised all of what is below. I applied for was accepted into the Champion Educators Programme back in February of this year. I completed the programme and wrote a reflection about my learning that you can read. The Champion Educators develop a solid grasp on how to use Hapara tools as well as time to think about and practice using them meaningfully. During my training I learnt how to design a workspace for learning. This gave me a chance to revisit my understanding of designing learning and reminded me that it is really important to make visible what the workspace is for. Even though I only needed to create one workspace for my learning, I was so excited that I actually created 5. Here you can check out my youtube clip that explains about my workspace created for assignment. Following passing the Champion Educators Programme I managed to persuade our senior management team to learn how to use Hapara and they applied for the next cadre intake and were also accepted. As they were learning how to use Hapara for teaching and learning, I decided to carry on and delve more into Pedagogy so applied for the Champion Scholar programme. Champion Scholars develop an understanding of the pedagogy and best practices associated with Hapara tools. I have just about finished my course. My final requirement is to reflect on how my workspace lines up with what I have been researching. So that is what this blogpost is all about. What I have learnt is basically to read about what other systems that help drive teacher’s learning. One of which is ISTE, the International Society for Technology in Education. However what I really learnt more about was our own professional registered teachers criteria. I developed a deeper understanding about our values and codes as a profession. Here you can read Introducing the Code and Standards [pdf] created by Melinda Stevenson. Do check out my workspace about Teachers and their learning. A lot of similarities are there between the ISTE Standards for Educators and our New Zealand Code of Practice. My workspaces covers the Commitment to the Teaching Profession but for the sake of what I was learning I focussed on the ISTE standards for Educators, Standard 1: Learner. Through the design process I learnt to include a variety of ways of showing learning, including using video or a creating a diagram. I also included opportunities for learners to work together. I managed to add a SOLO Taxonomy rubric so the learner was clear of expectations. There were several examples of artifacts that the learners could look at to help them with their learning. Overall during the training process, I was put through the steps of what I would expect from my own learners. I really liked having the Google+ Community for discussion. With our own primary school students we could use Edmodo for this part of the process. I believe we do not use Edmodo nearly enough and as teachers still rely on the face to face discussions. What I liked about the digital discussion was its asynchronous element. We did not have to be there at a certain time to take part in the discussions, but could come in when we were ready or had a few moments to spare. I was super excited to share many of the projects that I have led with educators and felt quite proud that I am already doing most of what an ISTE teacher learner does. I really like learning with and giving and receiving feedback with educators from across the globe. Our tutors on the course led by example and were visible in what they were doing to guide us. The next call for Hapara Champion Educator training has just closed and I loved seeing even more of our teachers from Newmarket School apply to do the course. If you are interested in Hapara Training then bookmark this link to check out when the next call for abstracts are. Sometimes Old School way of doing ‘stuff’ to our learners is no longer good enough. I am an experienced teacher with both research and practical classroom experiences under my belt. In addition I have just about done every job that can possibly be done in a school. Today I want to share with you my experience with planning for learning. My classroom experience spans well over three decades. In that time I have seen the shift in teaching from the front of the class with 38 little faces in front of me, to developing group teaching where students are levelled against their reading, writing and mathematics levels. In my earlier years in the early 1980s, there was no photocopier and I used butchers paper to handwrite task sheets for my reading groups. I used crayons because this was before the time of marker pens. When the banda machines arrived, the giant sheets became A4 size and I would meticulously create the carbon masters to try and extract 30 copies for the master folder. During that time too, my daily planner was hand ruled up each week and I would meticulously recraft the week like a timetable but with resources labelled. Then in the early 1990s the photocopier changed the way we operated in the classroom. The banda sheets were repurposed into photocopier sheets. The weekly plan was copied and handwritten on. What a fabulous invention. I no longer had to rule dreaded templates. Following that we could buy a years planning book, but as our thinking changed, one book was not enough and we had two planning books. One for Literacy and one for numeracy. After that the computer became part of the package and those of us who could, did. We bought our own computers and our own printers and started creating planning and worksheets using computers. Before school wifi, we shared resources using floppy discs and that photocopier turned out to be our best friend and a headache for schools budgets. If only we had one in each class. Each teacher had pretty folders with all their planning and assessment and some teachers were rated on how neat and tidy these were. Personally I found them a nightmare and only kept one because I had to and for no other reason then for when I was checked that I had one. My senior teachers ‘preferred paper’. But by then I had bought my own laptop and was using my planning digitally. I could never understand why I could not share my planning via floppy disc and always had to produce the dreaded paper folder. This was before the TELA scheme. The TELA scheme changed the game again and some schools realised that with a server, all teachers could share their planning. However I still found some team leaders loved those folders and to get teachers to share their planning via a server was a challenge. Following on N4L kicked in and suddenly we had fast broadband and access was unlimited. WHOOHOO. I then saw a shift of planning moving to the cloud and being much more transparent with the use of Google Tools for Schools. However at the same time I could see a repurposing of planning. Rather than the printed off Doc for the planning folder, I could see the Doc sitting in a shared folder. Going back over a few decades, that doc kind of looked the same. Maybe a bit fuller as teachers copied and pasted from government planning sites. With the cloud, teachers started to play with other planning formats and some used sheets or presentations as the tool. Some teachers continued with the doc format as they were able to just upload the word copy and duplicate the process in the cloud. Last year I wrote a post to unpack some of my thinking around blogs and sites and you can read that here. As I tracked other schools I could see an evolvement using sites and blogs to curate all planning. The online spaces became like a folder and the planning was curated neatly using sites or blogger. Some adventurous teachers trialled My Portfolio or Wixsite, or wikispaces. Last year I worked in the senior part of our school and was blown away by the use of calendars to support the children take control of their own learning. The children used a class calendar and dropped any workshops they needed into their personal calendars. I immediately saw my understanding of lesson planning was no longer relevant for our current learners or for how fast we were moving as a school. Recently I have undertaken learning to be a Hapara Champion Educator. I wanted to know more about the teacher dashboard tool and how it impacts on my understanding of what planning would look like. I also wanted to see the relevance of using the tool to support our learners to be more agentic. Those of you who might be interested in the course can apply for the next cohort of champions. Within a very short time I have learnt that my concept of teacher planning is outdated and in order to keep up, I needed to be in the same working environment from both our learners and our teachers viewpoint. The Hapara Champion Educator course is approximately one month long. However how and when I complete the modules is entirely over to me, within a given timeframe. I choose when to begin the work. I choose when I am ready to share it with my teachers, I choose how to build my learning and choose how I will share that learning. I have access to flipped learning where I can watch videos created by my teachers to support my learning. I can rewind parts I am unsure off or fast forward sections I am already competent in. When I am ready I can sit tests that allow me the opportunity to fix any gaps in my learning so that I am happy with the results. I press submit and if there is still time and my work could be improved, my teachers can send it back to me with feedback of how to make it better. Finally I have access to asynchronous communication with my peers and my teachers so that I do not need to see them facetoface for discussions. Where to next for me: I am building a learning workspace and can see the value of doing this that far outperforms traditional digital planning as I know it. I had been struggling with creating a digital space using blogger for one of my groups. Hapara has already revealed where I needed to focus in order to run a much more efficient learning space. I like the way it talks to all the google tools and to links so that everything is in one space. The space is super exciting because once I started building I could see where my planning gaps were for my learners. I especially like the way I can duplicate the format I have created, adjust it and repurpose it to suit another group of learners. I can take parts of it and target individual learners who a) might be struggling, or b)might need extending. The most exciting part of Hapara is sharing what I am doing but keeping my learners personal details private so the framework is available to other teachers. If I invite teachers into the space from my school we can co construct the digital learning environment together. I haven’t yet completed my course but I am already changed in the way I see planning and the way I can better incorporate Hapara into transformative instruction. Is teacher planning still monitored in your school and if so where are you up to with overseeing the professional teaching criteria? Does your school still insist on a particular way of presenting planning or are your teachers encouraged to be agentic with their planning? What teachers, leaders & Communities of Learning need to know. The consultation session that I attended with my principal was run for principals, and school leaders including Kāhui Ako because the new addition to the national curriculum needs senior management understanding. Understand the various reasons it’s being offered. See ways that we and our students might engage with it. ………. So we could provide information feedback. Wendy and I were particularly interested in the session offered to all schools in Auckland because the official announcement in regards to the addition to the New Zealand Curriculum from Education Minister Nikki Kaye took place at Newmarket School on the 28th of June. That and because we both have strengths in Digital Technologies with a history of designing and developing digital outcomes for all our learners. We both believe that our pedagogy with digital technologies pedagogy is strong. However what I found particularly fascinating was the way that both Tim and Hinerangi emphasised the importance of people and how they communicate. They both said the new curriculum was not about computers but was really about computational thinking. How the digital world interacts with the human world. They both explained that DT|HM curriculum is about human need. Some of the session focussed on unpacking computational thinking and looking at the technology dealing with digital technology using binary digits. But again there were no digital devices or digital technology used to push the concept of computational thinking. Instead both facilitators took us through basic activities to highlight the Progress Outcomes on Page 17 of the draft. There was a mention of Kāhui Ako and how as educators we need to develop understanding of transitioning so that we can help our learners as they move between the sectors. They stressed the importance of ensuring that our learners understood the why so that we can shift them from not just being consumers of digital technologies but to being creators. Digital technology Hangarau Matihiko is to be formally integrated into the NZ Curriculum. DTlHM is the first change to the NZ Curriculum since 2007. By 2018 the addition will be in schools. 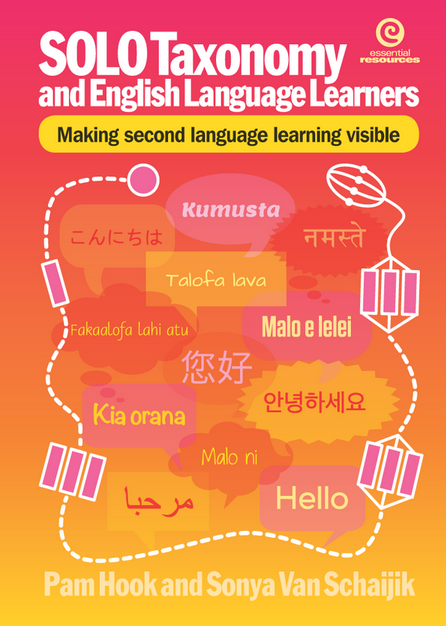 The subject will be fully integrated into the NZ Curriculum and Te Marautanga o Aotearoa by 2020. DT|HM is about teaching students how technology works, and how they can use that knowledge to solve problems. This new curriculum will equip our learners for the increasingly digitalised workplace and society. This will keep New Zealand competitive. Schools will be teaching our young people the computer science principles that all digital technologies are built on. They will be teaching Computational Thinking for Digital Technologies. Computational thinking is when students will develop an understanding of computer science principles that underlie all digital technologies. They’ll learn core programming concepts so that they can become creators of digital technology, not just users. They will be Designing and Developing Digital Outcomes (learning how to design quality, fit-for-purpose digital solutions) because more and more people need digital technology skills and knowledge to succeed, whether making robots, be a politician, or a farmer. DT|HM is so that our learners become conscious users of the systems. DT|HM is not about computers but is about how the digital world interacts with the human world. What impact might DT|HM have on teacher practice? Many teachers, schools, kura and Kāhui Ako are already making digital technologies learning part of their teaching programmes. This change ensures that all learners get these experiences, to prepare them for a world where digital skills are increasingly valuable to the economy and wider society. Use and understanding of DT|HM can lead to exponential learning. I believe the positives of the draft is the focus on humans and social interaction rather than the technology. I also really like that there is a separate one for Maori that incorporates Maori World View. However the challenge is developing teacher capabilities as fast as possible as there is a huge shortage in this area in schools. Therefore professional development needs to be put in place across the sector to teach teachers how to engage their students with the subject. There is a fabulous site to help teachers begin the process of developing understanding around Computational thinking. This is Computer Science Unplugged (CS Unplugged). Yet still schools must find ways of upskilling teachers. Whose voice is not currently not being heard? Currently Maori and Pasifika are under represented in studying Digital Technology and in having success in this field. However they are consumers and creators of digital technology and so it is important that they also have access in schools. Technology is our 3rd largest earner and continues to have exponential growth for New Zealand. By 2020 DT|HM will be part of schools national curriculum. Computational thinking will be at the same level of importance as reading, writing and mathematics and will be part of NCEA. Computational thinking is about getting our learners to think big but without using computers. In order to do this they must understand the concept of algorithms. That is how many steps does it take to solve a problem so attention to detail and being persistent are important strategies to learn. Algorithms have been around for a long time and the general principles will not change. What is important is that our children understand what is done to them. DT|HM is also that our children learn to create, think about other people, work with each other and develop spatial knowledge. We can do this by helping them to count, sequence, mix colours and develop spatial awareness. Diversity on the team must reflect the user. We already know the jobs most likely to be exponentially affected by automation and as the saying goes, if teachers can be replaced by digital technologies then we should be. So just to sum up. Teachers need understanding to teach DT|HM especially in Computational Thinking and in designing and developing digital outcomes. DT|HM is not about computers but is about how the digital world interacts with the human world. DT|HM is not coming it is here and what is your school doing to ensure it is embedded in your learning by 2020? As Kāhui Ako how do we ensure that our schools are ready for DT|HM and this is an area to consider when we update our achievement challenges because of its impact on learning. Tidbits that were highlights for me. Binary Code is still beyond me. Computers search 1000,000,000,000 sites in 40 operations. Cone cells in the fovea that detect colours only sees RBG. Steganography is a a way of sending encoded messages. Here is a fabulous story explaining how. Currently the Ministry of Education are consulting with leaders, teachers and whānau about the the Draft of this Curriculum. The consultation process will run until 3 September. They are particularly keen to hear from the education and technology sectors as well as parents, students and their whānau. Feedback is welcomed and all submissions will be considered with a report back later this year, prior to the curriculum’s implementation in 2018.